Blog › Latest News › Team Doubles In Size And Still Recruiting! 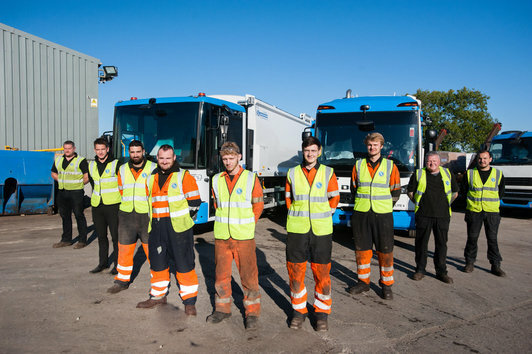 Originally a supplier of Quality Used refuse vehicles and re-manufacturing services, RVS has transformed into a complete solution provider, selling brand new refuse vehicles as well as used or remanufactured vehicles, and offering a host of support services including hire, parts, repairs and maintenance. The company is also doubling the size of its workshop operation with five new bays to increase capacity and improve productivity. Earlier this year RVS expanded its workshop base with the addition of two new depots located at key customer sites across the UK. There are career opportunities across all of RVS’s locations in Gloucestershire, Oxford, Devon and Heathrow. The company also offers excellent opportunities for apprentices with placements across all areas of the business, in accounts admin and the workshop.